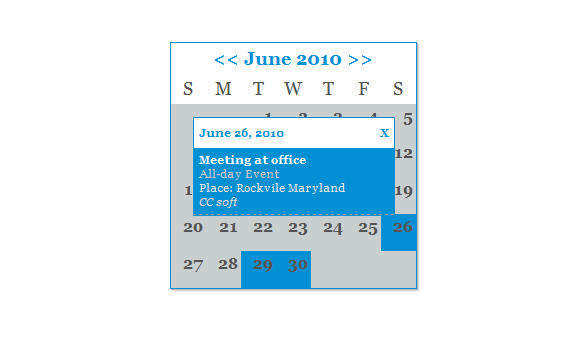 Easy WebContent's user-friendly and intuitive calendar creator allows you to create a professional calendar so you can promote and share your events. 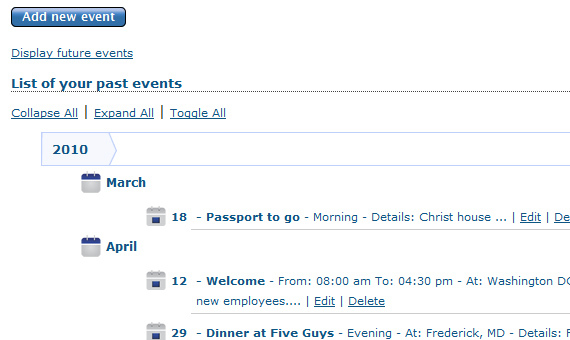 Easily and quickly create, customize and manage events on your website, blog or any other online medium. 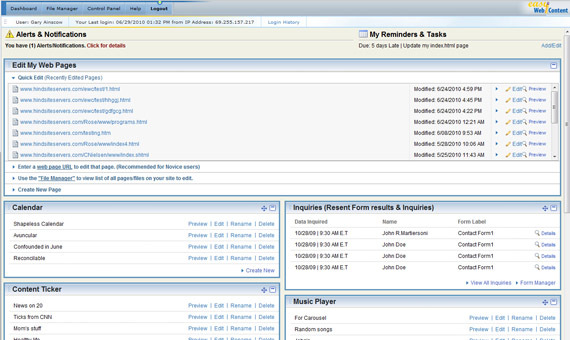 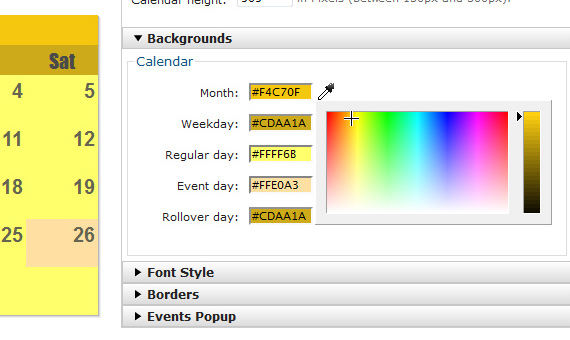 With EWC Calendar, we give you the power to quickly and easily customize its design and theme to fit your needs. 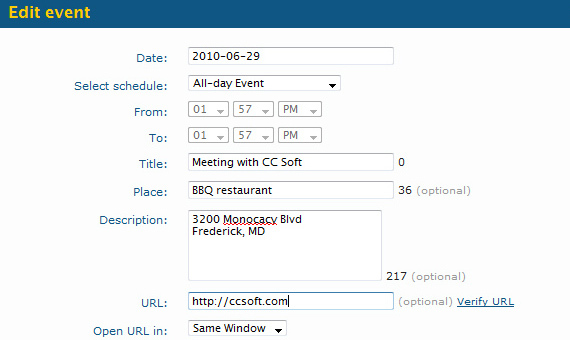 The user-friendly online calendar creator makes it incredibly easy to create and populate calendar of events and publish them on the fly. 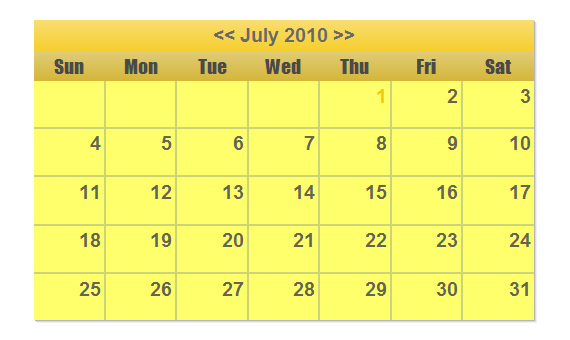 Create a calendar and come back later to modify the design, content and its events. 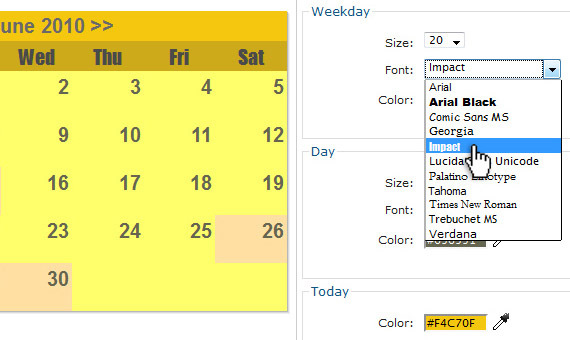 Create multiple calendars each with their own style, content and transitions. 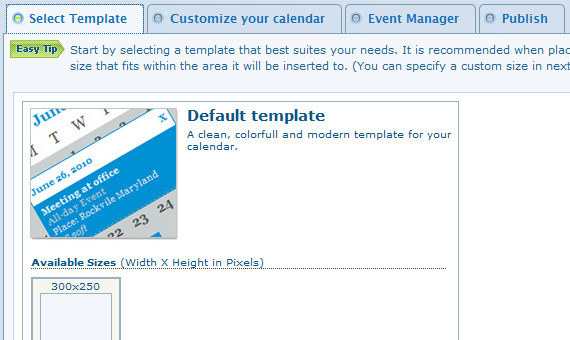 Choose from a template and then fully customize it to your desired needs. 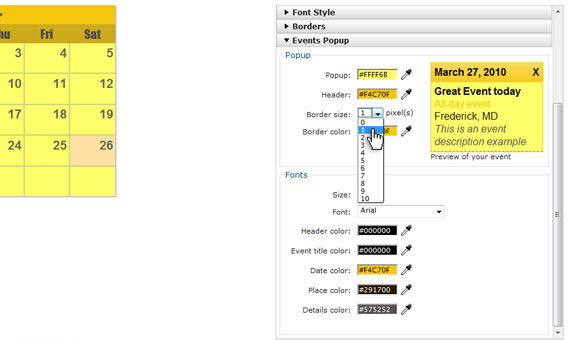 Select from available presets or fully customize the design to fit your exact specifications. 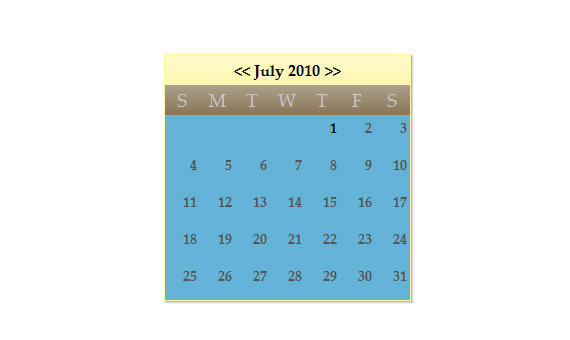 Create multiple calendars from one system. 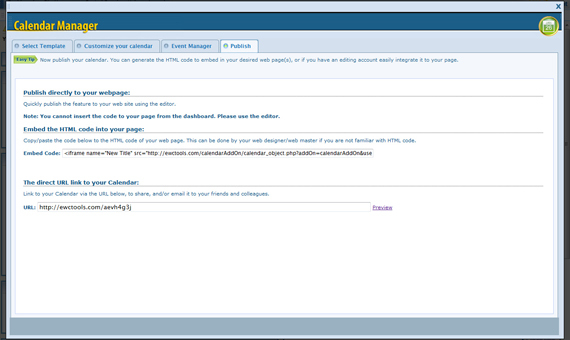 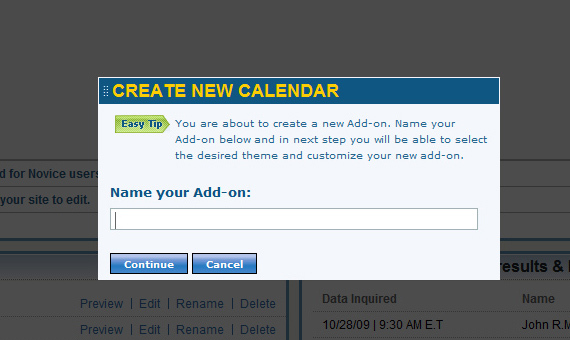 Calendar Add-on is included as part of the Site Builder and HTML Editor (Complete) versions.